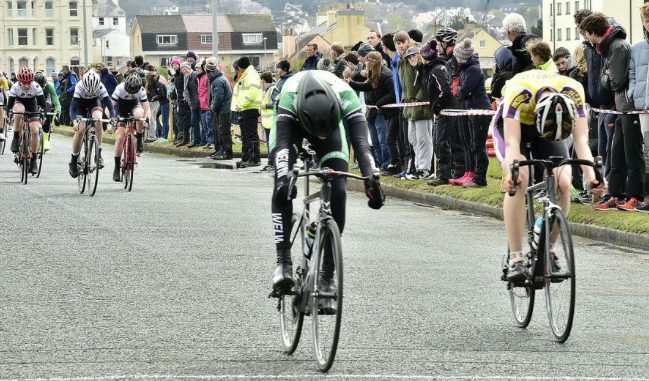 The Wheelers riders had a busy weekends racing at various venues. course which dropped him down the overall situation. He recovered to take 3rd place on day 3.
starting with 3rd place on Day 1 – he followed this up with a 5th place on Day 2. He continued by winning the sprint for 4th place on the final stage . His consistent performances over the three days paid off with well earned 3rd place overall. On Bank Holiday Monday a number of riders raced in the town centre closed road circuit at Ixworth in Suffolk – in the first race of the day Michael Parry was in the leading group of riders throughout the 40 minute race for Category 3 Seniors plus Juniors finally taking a well earned 6th place in the final sprint of 10 riders. The under 10/8 race was next and Dylan Starkey led the race for a number of laps as the field split up on the tricky course – he finished second just losing out in the two rider sprint. In the under 14 race Joe Kiely was on good form and was in the 6 man group that broke away in the early stages and became a good working group that built up a useful lead over the field. In the final sprint for the line Joe took a well earned 4th place. 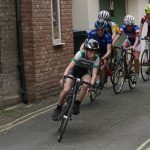 In the under 16 race the boys and girls started together – a fast pace was set from lap 1 and held throughout the 30 minute race – Nathan Blackmore and Elspeth Grace held their positions in the main bunch as weaker riders lost contact. In the final lap two riders broke away – Nathan and Elspeth finished in the main bunch with Elspeth taking the prize for the leading girl rider – beating a number of the boys with a great and positive ride. 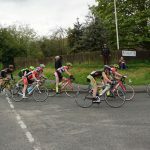 The opening meeting of the Welwyn Track League was run on Friday evening at Gosling Sports Park – the field had a good number of riders spread among the various categories. The Wheelers riders scored a number of wins and places in the three age related youth events (see separate report). On Sunday the club promoted the Norlond Combine 30 mile Time Trial on one of the A1 based courses. Cold conditions for the early morning start. 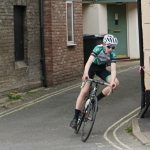 The opening round of the Club 10 mile series was run on Tuesday evening – Martin Dossett recorded the fastest time in 22-52 from the 10 rider field (remaining results to follow). On Saturday the club is hosting Round 2 of the National Youth Omnium London series – 138 riders have entered the event which gets under way at 12 noon. The following day a number of the leading riders who wish to qualify for the National Final in Cardiff in July will need to be at Brightons Preston Park for the third race in the London series. The next round is at Herne Hill he following weekend. The top 5 riders in each age group need to count all four results to qualify for the National Final.